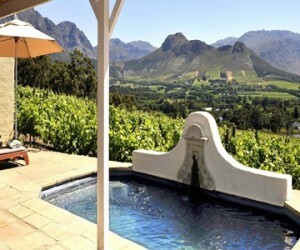 The Winelands is only a short drive from Cape Town, but is a destination in its own right and whilst you can enjoy a day trip to the area, we recommend a night or two in Stellenbosch or charming Franschhoek- both historical old towns. 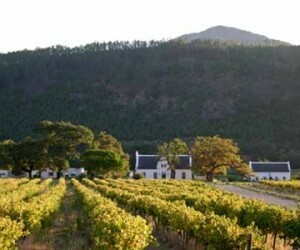 Franschhoek was originally the French quarter and is reputed to be the best town in the southern hemisphere to dine out in because of the excellent restaurants. 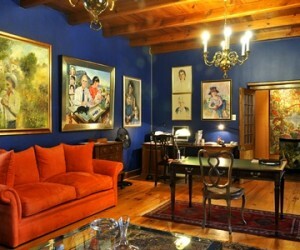 Stellenbosch is a considerably larger town than Franschhoek with its own respected university but entering the old quarter is like stepping back in time. 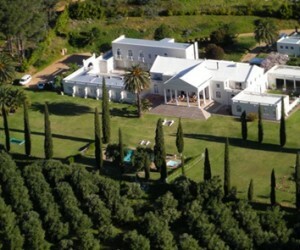 Below are some of our favourite Winelands properties, and we have many more on our database so email us or phone +44 (0)20 7112 0019 to see more pictures and for more accommodation suggestions. 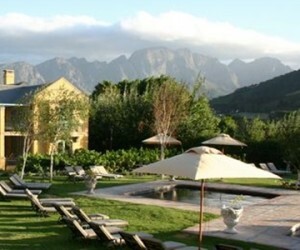 La Petite Ferme is a gracious four star guest house, perched on the slopes of the Franschhoek Mountains, overlooking the town. 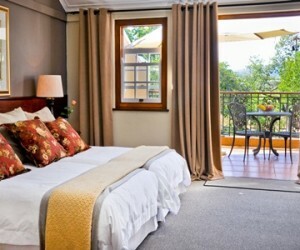 Akademie Guest House is a boutique style lodge offering luxury accommodation in a quiet residential street in Franschhoek, ideally located a short stroll to Franschhoek village with its picturesque mountain backdrop. 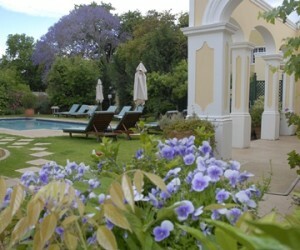 River Manor is elegant guest house with 18 en suite bedrooms located in the historical town of Stellenbosch, beside a river. 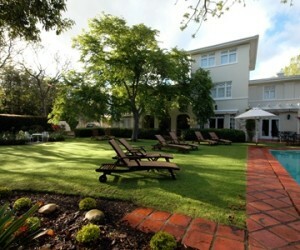 Rusthuiz is a friendly 4 star guest house located within easy walking distance of Stellenbosch and restaurants. 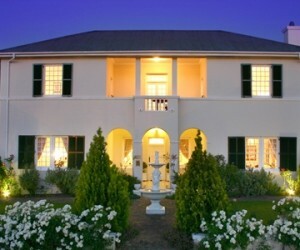 Summerwood Guest House is a lovely 5 star mansion dating to 1904, offering luxury accommodation in tranquil surrounds an easy 10 minute walk to the many pavement cafes and restaurants in the heart of Stellenbosch. 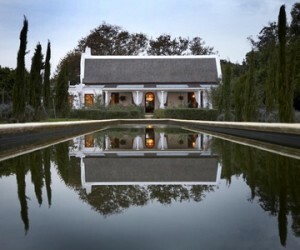 Hawksmoor House is a Cape Dutch country retreat located on a 220 hectare wine farm, Matjieskuil near Stellenbosch in the Cape Winelands. 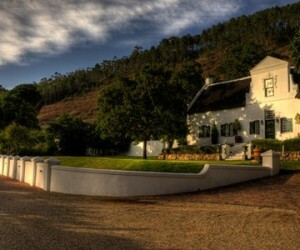 Beautiful, stunning location amidst vineyards overlooking Table Mountain. 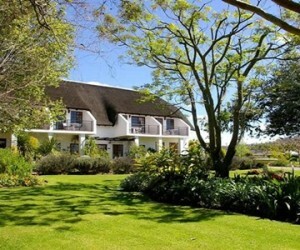 Cascade Country Manor Boutique Hotel & Spa in Paarl is a family run, luxurious private retreat offering warm hospitality in the heart of the scenic Cape Winelands.